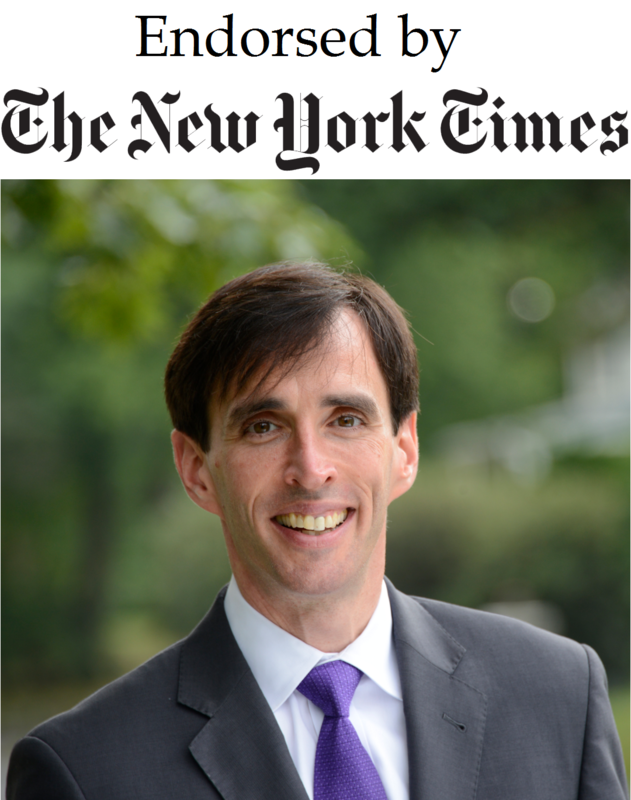 Archive of news and endorsements from Noam’s 2013 campaign for County Executive. I could not have asked more from an incredible staff, who applied themselves to the campaign with intensity and drive, who supported each other as a true team, and who committed themselves to this cause for all the right reasons. I could not have asked more from old friends and new friends who extended themselves beyond any reasonable claim or expectation, who gave of their time and energy and money and, above all, gave of their trust in remarkable ways. And I could not have asked more from colleagues in government and politics and labor, who stood up to be counted, who took risks to be part of our effort. I do not take that for granted. United States Senator Chuck Schumer and New York State Comptroller Thomas P. DiNapoli expressed outrage today after Republican Rob Astorino pretended to have their endorsement. Noam endorsed by the New York Times! The Times wrote that there’s “a starker divide, between responsible governing and recklessness” dividing Noam and Rob. The Republican Party just tried to disenfranchise a convent of nuns in Ossining, with Rob Astorino’s help, and suppress the vote. I am very confident running on the truth, because the facts in this election are on our side. 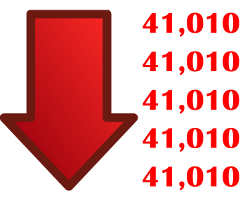 By contrast, it’s clear that Rob Astorino can’t handle the truth – the truth that his record comes out of the Tea Party wing of the Republican Party and is wrong for Westchester. 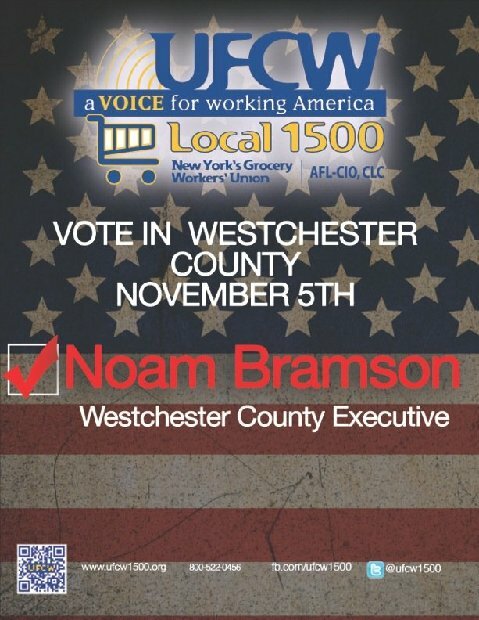 UFCW 1500, the largest grocery workers union in New York State, has endorsed Noam Bramson for County Executive. Ten reasons to Get. Out. The. Vote. If a Governor and a Senator can each spare an afternoon to tell people to get out and vote in this race, I think you have the time to do so, too. 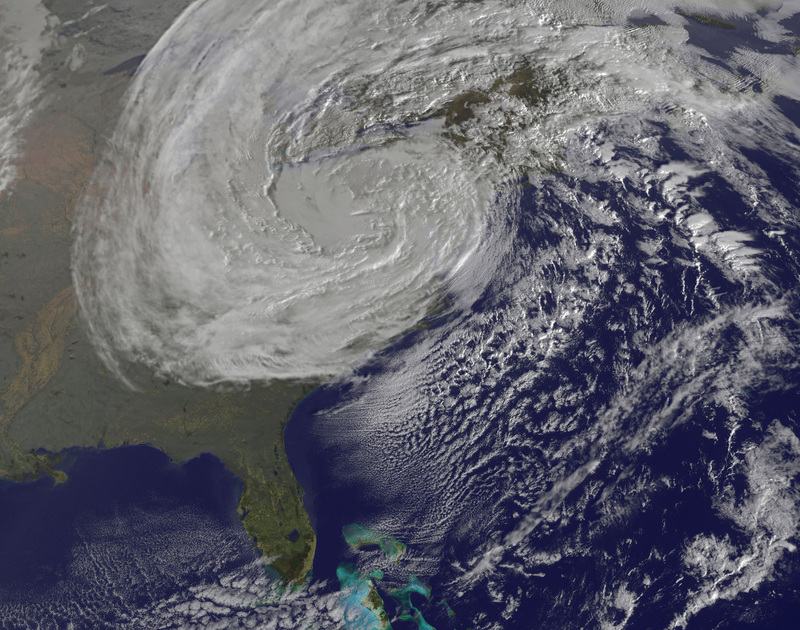 Westchester’s ability to face and recover from the next storm like Sandy will depend on a comprehensive strategy. The Democrats’ big guns are coming out to help put Noam over the top. Following President Clinton’s endorsement last week, Noam was joined this weekend by Governor Andrew Cuomo on Saturday in White Plains and Senator Chuck Schumer on Sunday in Yonkers.